Click on the "SHOP NOW" button and check out the prices of your favorite photos on merchandise, canvas and available sizes for the photos. Create Holiday or Special Occasion cards with you favorite photos, click on SHOP NOW and then CREATE CARD. 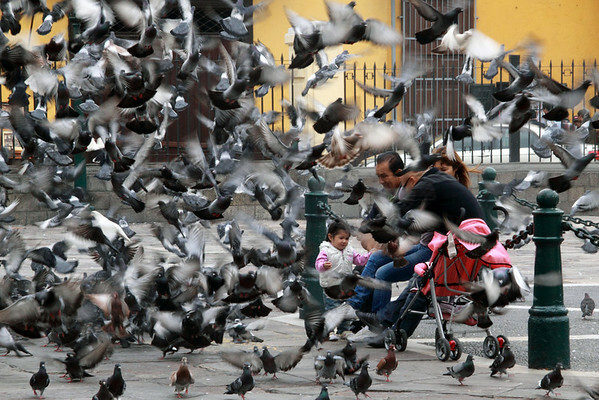 This family was feeding pigeons in the Courtyard of the San Franciscan Monastery in Lima.